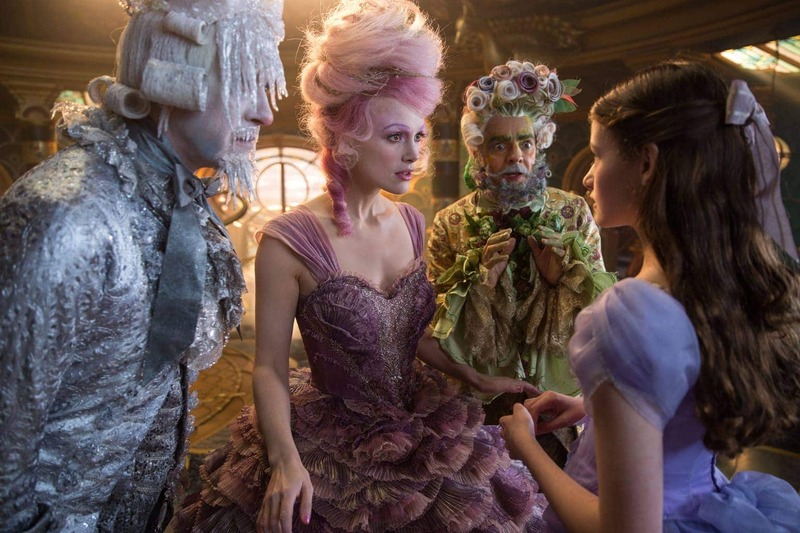 The holiday season is officially here and THE NUTCRACKER AND THE FOUR REALMS is now playing in theatres everywhere! This is the perfect family film to kick off the holidays! 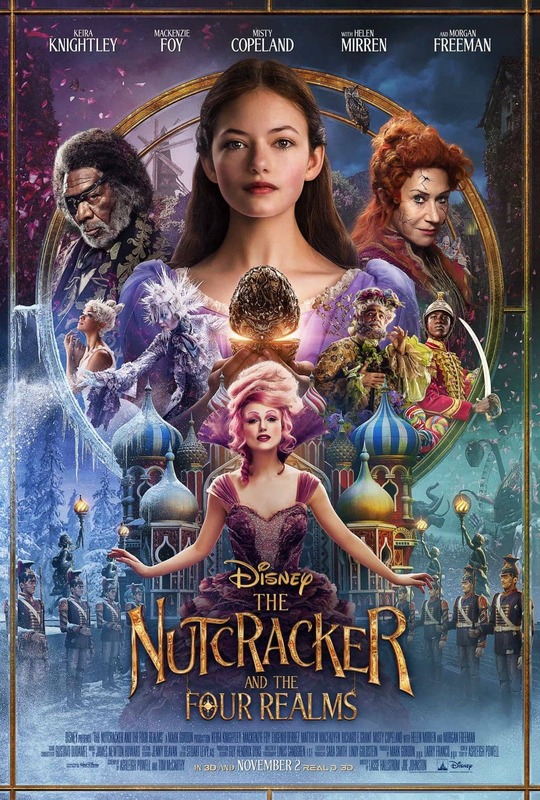 Join Clara on her journey as she explores the four realms in Walt Disney Studios’ latest release THE NUTCRACKER AND THE FOUR REALMS (PG). This review below is written by contributing writer, Kristi Crisler. All opinions are her own. 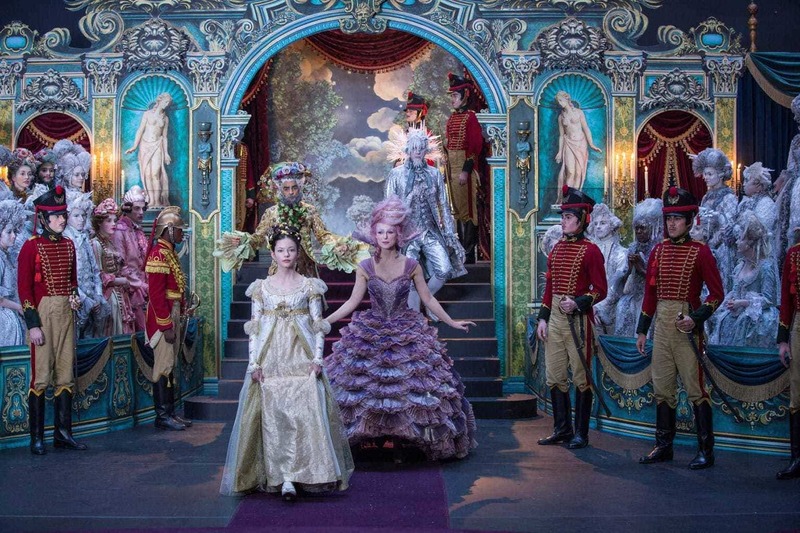 I had the opportunity to see the Nutcracker and the Four Realms with my daughters. We have an annual tradition to see The Nutcracker ballet every year and this was an exciting new twist on the classic ballet to start the holiday season. My daughters were both absolutely mesmerized by the entire movie. The visuals were stunning and the costumes were over the top dramatic. Morgan Freeman and Kiera Knightley were perfectly cast as Drosselmeyer and the Sugar Plum Fairy. Sweet Clara (Mackenzie Foy) shows her mother’s true grit and determination as she tracks down the lost key that would reveal what her mother left for her. We have an annual tradition to see The Nutcracker ballet every year and this was an exciting new twist on the classic ballet to start the holiday season. My daughters are 12 and 4 and both were absolutely mesmerized the entire movie. The visuals were stunning and the costumes were over the top dramatic. 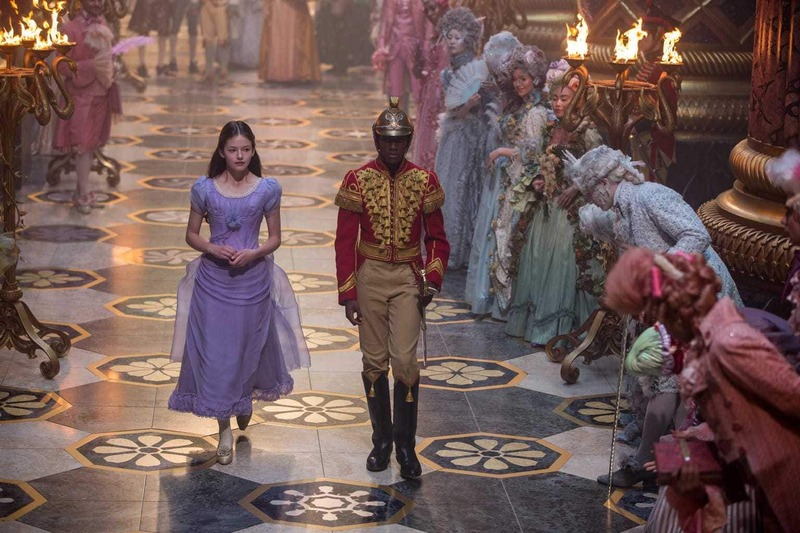 The ballet scene will bring you back to your childhood days of watching the original Nutcracker but the rest of the movie is a new spin on the classic that I’m sure will become a staple in the holiday movie rotation for years to come. I would definitely recommend this movie as family friendly, however, note there are a couple of dark scenes involving the mice and Mother Ginger that you may want to be aware of.